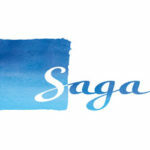 I’m a regular features writer for Saga online magazine, focusing on gardening articles and features aimed at grandparents, sourcing and interviewing experts and case studies. See links to my latest published articles here. I was lead copywriter on a launch website for Dove, aimed at a global audience of mums of 8-16 year-old girls. I wrote a series of online articles about body image and self-esteem, which included interviews with mums and experts. I also provided SEO consultancy. I wrote a range of lifestyle/health articles and created social media content aimed at people with vision impairments. 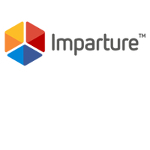 These were published on the website Set Your Sights for global healthcare company Novartis. For Imparture, I wrote and researched a number of fully comprehensive playbooks on Google+ and Snapchat, aimed at business professionals who want to improve their social media skills. 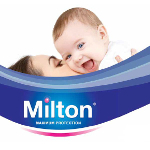 I am currently managing and growing the social media channels for baby brand, Milton (at Connected PR). * Daily management of Facebook and Twitter accounts including content creation, building brand partnerships, celebrity engagement, running expert webchats and regular reporting. * Increased Facebook account by 25,000 fans in one year. * Developing and delivering brand ambassador programme with key professionals working in healthcare, childcare and pregnancy/childbirth to increase brand awareness and reach in these sectors. * Working with a core group of mum ambassadors to better understand how parents use Milton products and increase social media presence. 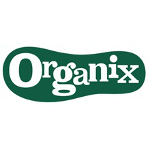 I was a key member of the team which developed Organix’s No Junk campaign (at Greenhouse PR). This involved developing a social media strategy, creating content and managing the Twitter feed; building a blogger outreach programme; forging key partnerships with external organisations and copywriting for marketing materials and website. I was tasked with developing a social media strategy for Wyke Farms. This involved reviewing the client’s current social media offering, devising a new strategy with new creative content ideas, a revised reporting structure and setting measurements and targets.